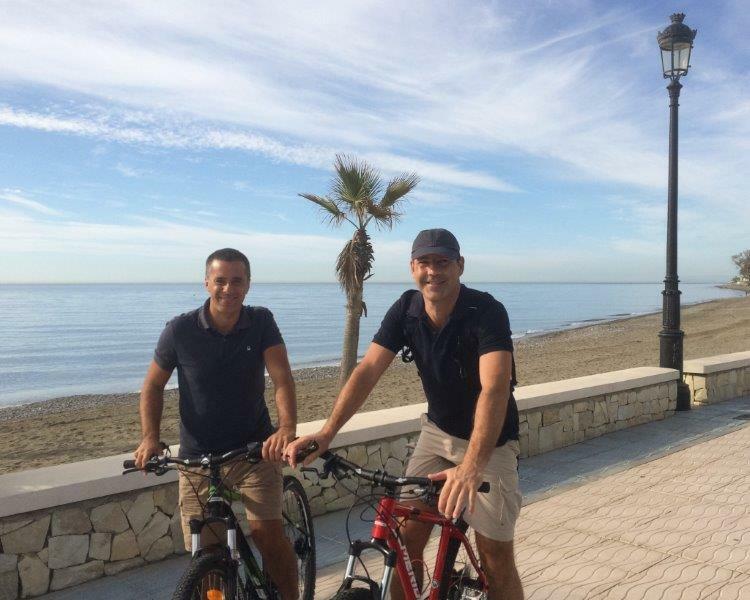 Marbella has to be one of the most ‘liveable’ towns in Europe. Forgot the media clichés, the reality for residents is a place that not only has a fab climate, but loads of space for enjoying the great outdoors. 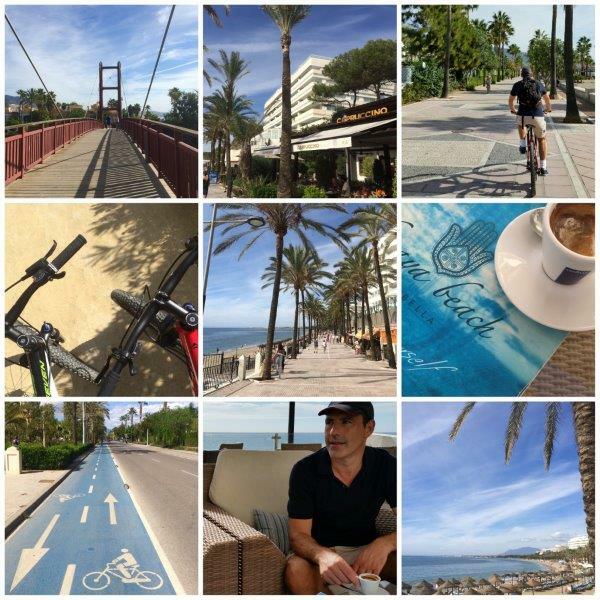 Today we took little time out from working in front of the PCs and decided to enjoy the coastal pathway, the promenade (paseo marítimo in Spanish) that runs from Marbella’s fishing port in the east all the way past Puerto Banús, to San Pedro in the west. It’s a 16 km plus route, so around 33-34 km round trip – perfect for a bike ride. Starting in Marbella the stretch in front of Marbella town centre is a little crowded, but once you get to the Hotel Don Pepe it’s wide enough to ride two abreast and chat. Cappuccino is a smart café in front of the hotel, right on the paseo so a perfect place to take a break and get a caffeine fix. Heading west the sandy pathway takes you past some of the fancy beachside mansions of the Golden Mile, beach bars and restaurants on to Puerto Banús. Here you have to take the street running parallel to the port, before re-joining the route, that runs past the back clubs of Ocean Club, La Sala Beach etc. Thoughtless development in the 80s and 90s took parts of the public pathway to add to landscape private gardens but now the route is fully connected thanks to elevated boardwalks and bridges. 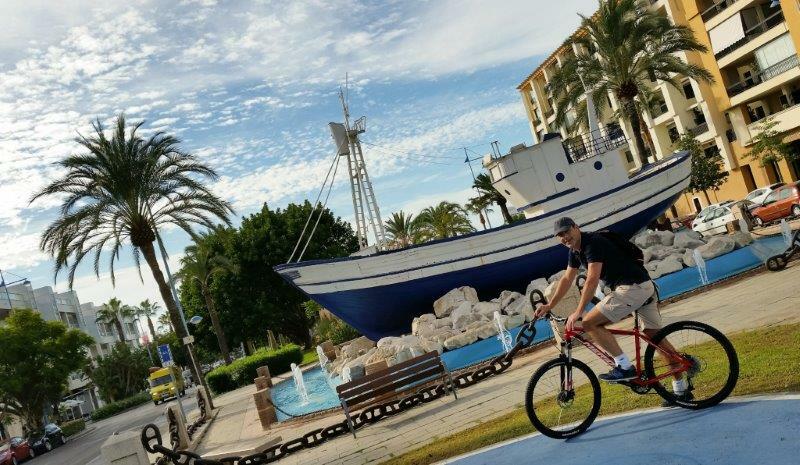 San Pedro makes for a good destination now thanks to its new cycle paths that take you up to the new Boulevard city park and the restaurants and bars. 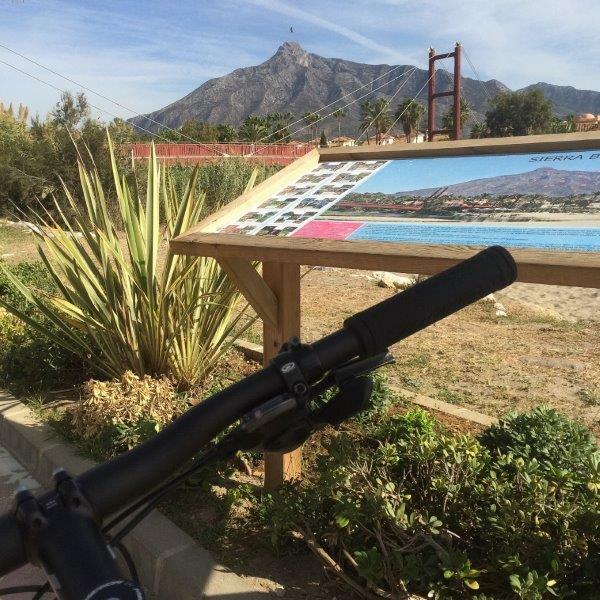 If you don’t have a bicycle, bike rental is available in San Pedro and Marbella – just search online. Prices start from about 7.50 a day.